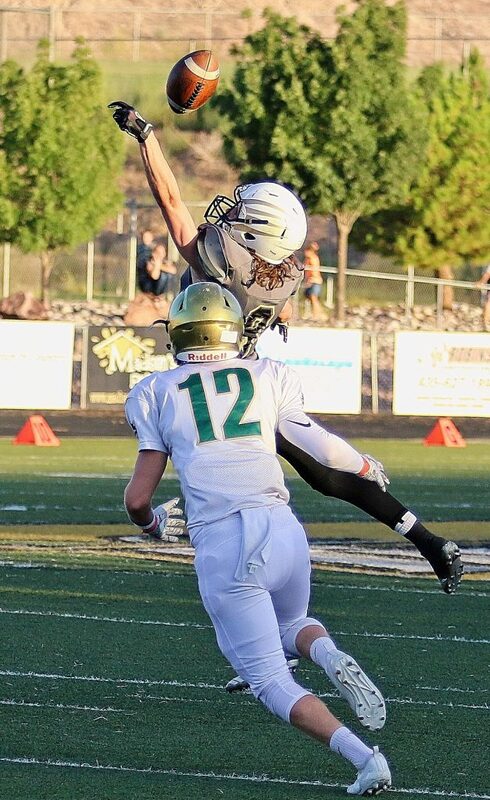 ST. GEORGE — Here are the results from the first Friday of the regular season in Region 9 football. 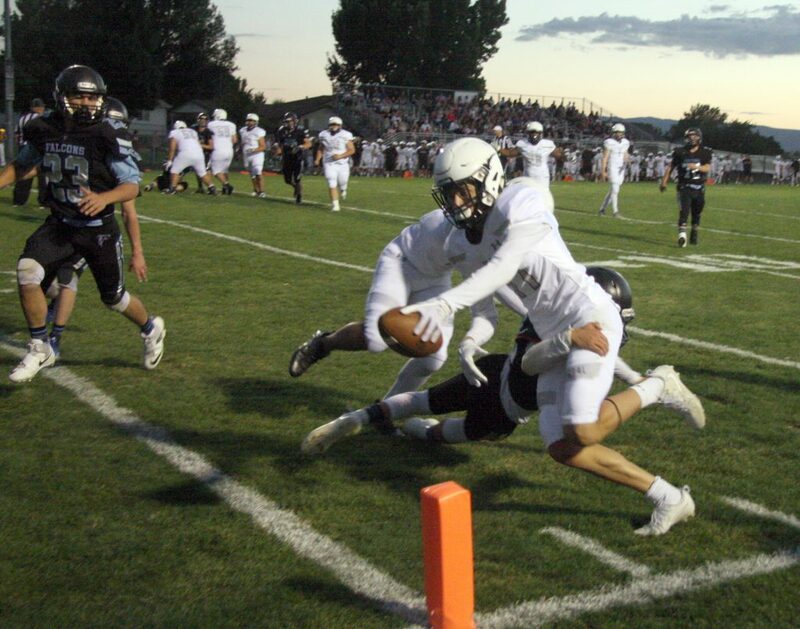 At Canyon View, the Pine View Panthers’ offense was unstoppable in the first half, scoring touchdowns on their first eight possessions and adding a pick-six interception return to build a 63-6 halftime lead. 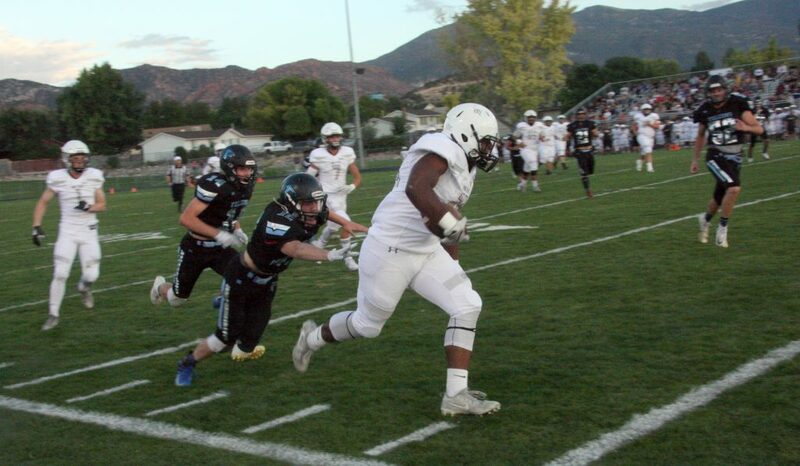 Pine View’s first possession of the game was an eight-play, 74-yard drive that culminated in a 25-yard pass from quarterback Macloud Crowton to wide receiver Michael Moore. Kicker Connor Brooksby added the PAT to make it 7-0 less than two minutes into the game. Canyon View then responded with an 80-yard drive of its own, with quarterback Colten Shumway breaking loose for a 37-yard TD run. The ensuing point-after kick attempt failed, however, and the Falcons were still down 7-6 with just under seven minutes left in the first quarter. Pine View’s offense then continued to move the ball up the field almost at will, using a mixture of long passes, short passes and runs. Only the occasional penalty seemed to slow down the Panthers, who went on to score eight straight unanswered first-half TDs. Pine View coach Ray Hosner said his team’s goal was to involve as many players as possible in a balanced offensive attack. 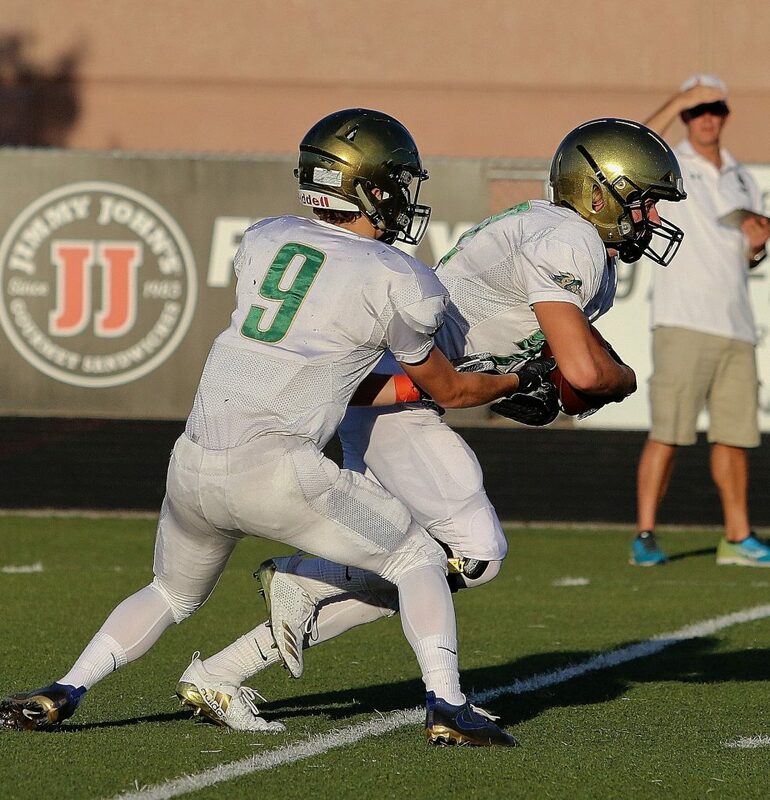 Both Crowton and Dallin Brown threw TD passes, and Brown ran for a 70-yard score. 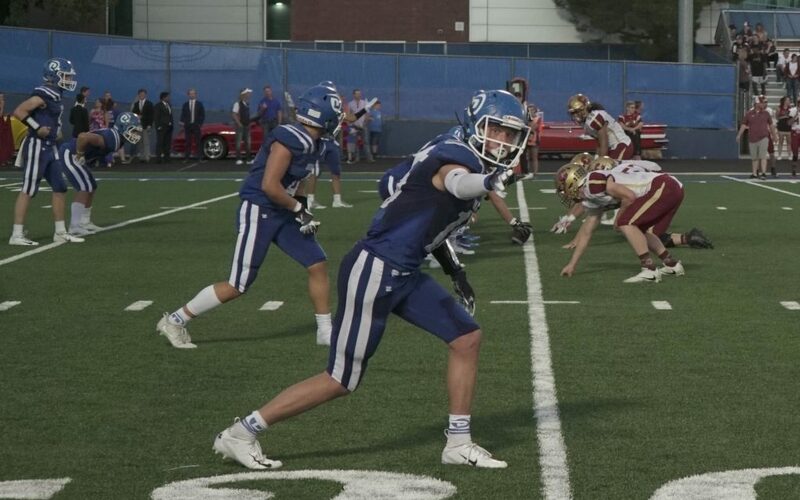 “I thought Macloud and Brown came in and did a great job throwing the ball and I think almost every one of our receivers caught balls and did what they needed to do,” Hosner said. Eight different players scored for Pine View, including Brooksby, who was 10-for-10 in kicking PATs. Tosh Wright scored three rushing TDs for the Panthers, and Michael Moore caught two TD passes. Canyon View head coach Chris Sawyers said despite his team’s encouraging start, the Falcons ultimately couldn’t keep up with the Panthers. In the second half, as the mercy rule kept the clock running for much of the time, both teams played mainly second-string and reserve players. Canyon View outscored Pine View 20-7 after halftime, including two TDs in the final two minutes, the last one being a 35-yard interception return for TD by Cole Hinton. Canyon View plays cross-town rival Cedar next Friday at Cedar. 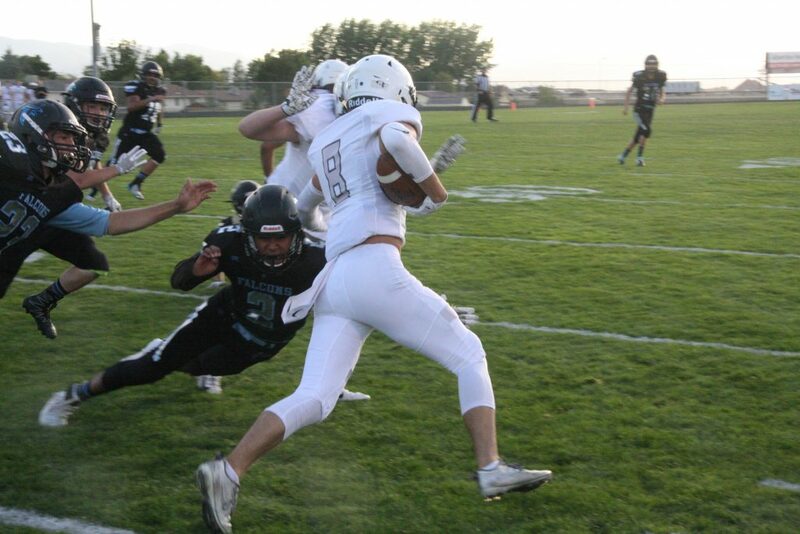 Pine View has a bye next week, then hosts Snow Canyon on Sept. 21. Dixie battled back in the second half to down Cedar 30-16 to give the Flyers their ninth-straight win over the Redmen. 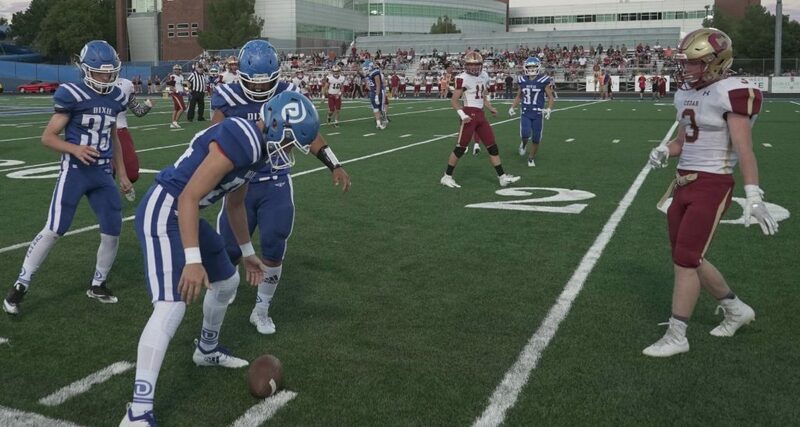 The two teams have played each other since 1949 with Dixie now holding a 56-33 edge in the series. 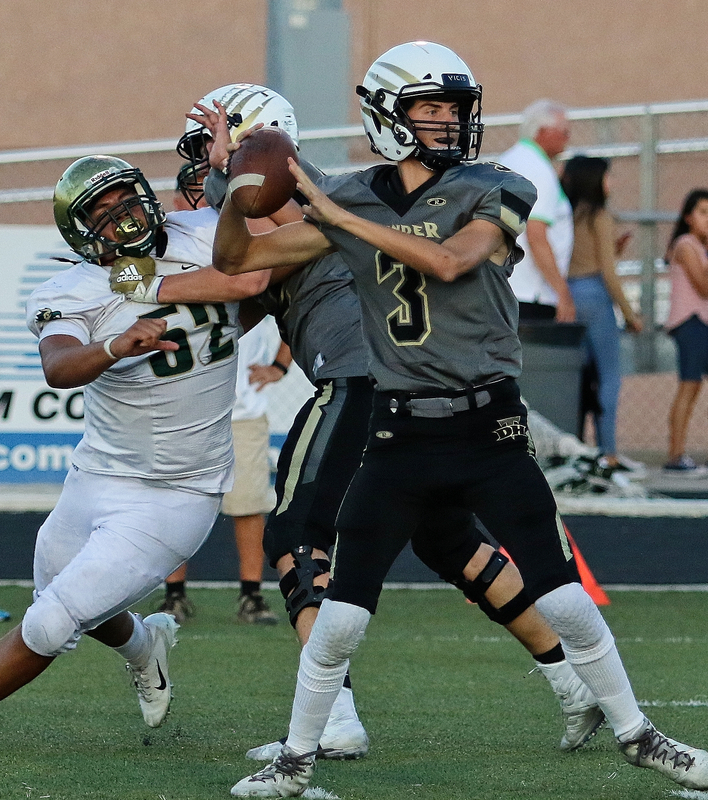 The Flyers rode the strong left arm of quarterback Reggie Graff early in the game and then turned things over to running back Westin Banuelos who scored two second half touchdowns after several big runs. The Flyers are now 3-1 for the year while Cedar falls to 2-2 on the season after their region opener. 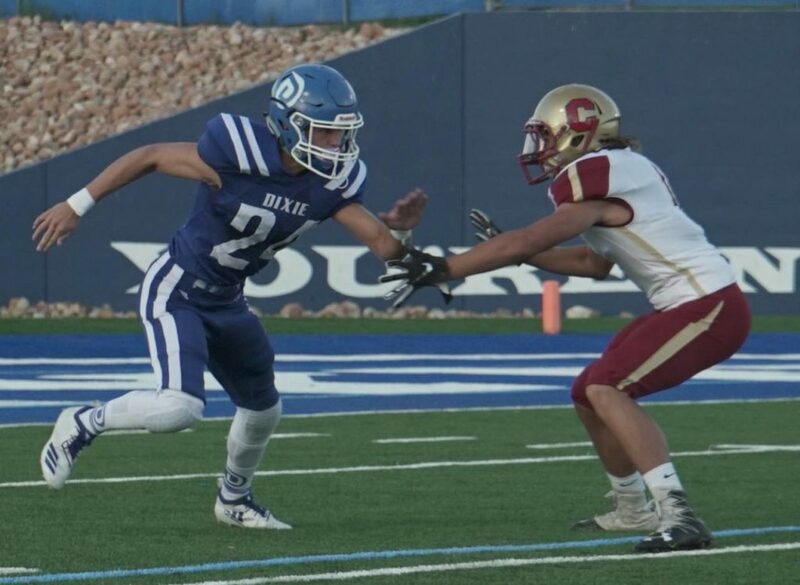 Dixie scored midway through the first quarter when Graff found Travis Muir for 12 yards. Muir gathered in the pass down the home field sideline and dove the final four yards into pay dirt. Josh Stewart added the PAT. The Redmen came back with a pounding ground attack led by burly Drake Fakahua. He carried four times, capping of a 41-yard drive with a 3-yard plunge through the Dixie defense. The extra point failed and it was 7-6. 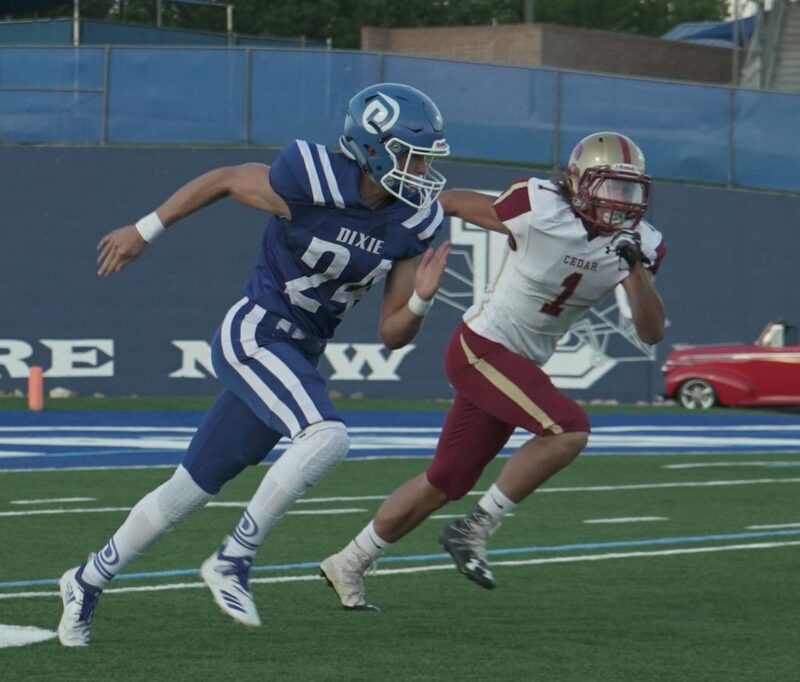 After a Dixie interception at midfield was nullified by offsetting penalties, the Redman took their first lead of the game when quarterback Jaxon Garrett found a crease in the Flyer line and raced 51 yards untouched with a minute to go in the first half. Zane Montgomery added the extra point to give the Redmen a 13-7 halftime lead. Montgomery put the Redmen up, 16-7, with a 16-yard field goal midway through the third quarter. But after that, it was all Dixie as they used a punishing running attack and strong defense to stop the two-pronged Redman attack of Garrett and Fakahua. 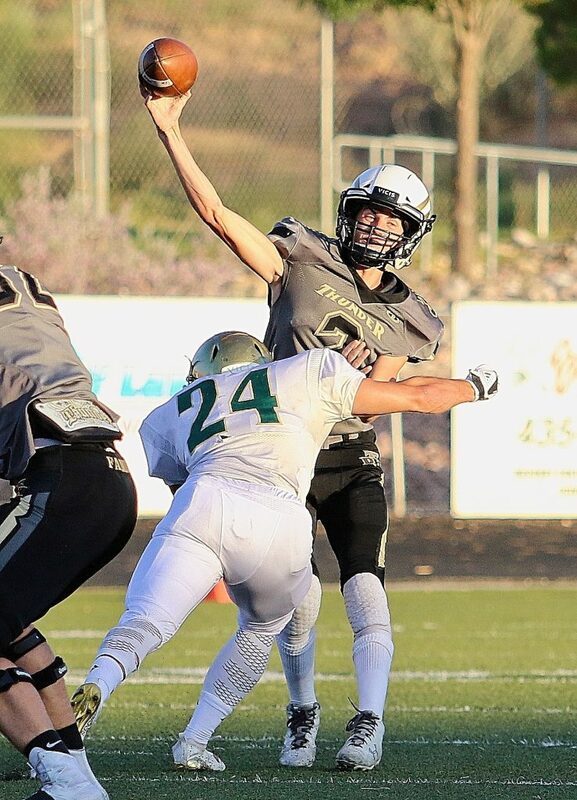 The Flyers play at Snow Canyon next week while Cedar hosts crosstown rival Canyon View. 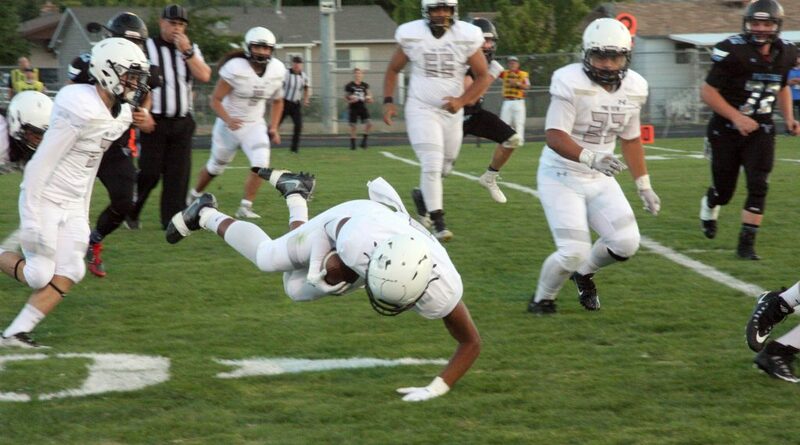 Desert Hills rode the leg of kicker Logan Callister and the strong legs of running back Kina Taufa in the second half to beat Snow Canyon, 27-7, to open Region 9 play Friday night. Bronson Andrus gave the Thunder an early 7-0 lead with an intercepted pass return and Callister added the point after. The Warriors came right back to tie it up when Landon Frei found Makai Lee open from 17 yards out. Matt Van Gils added the PAT. That score stood at halftime, 7-7. Callister gave the Thunder its first lead midway through the third quarter with a 36-yard field goal. He added another three minutes later to make it 13-7. Then, Taufa took over, scoring from 13 and 11 yards out to seal the victory. Callister automatically added both PATs. 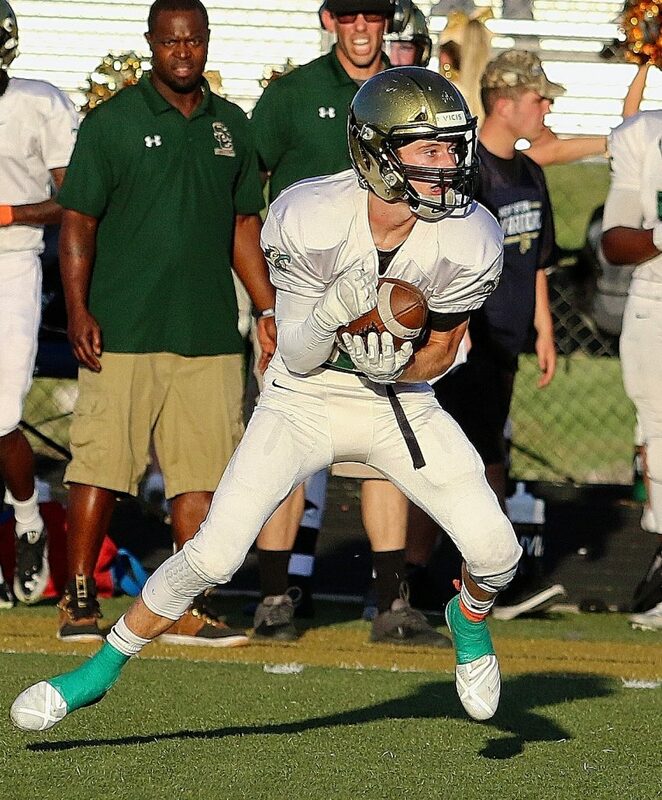 The Thunder travel to Hurricane next Friday while Snow Canyon takes on Dixie at home.